You are here: Home / parties / birthday / Frog Prince Cupcake Tower – it was DIY! 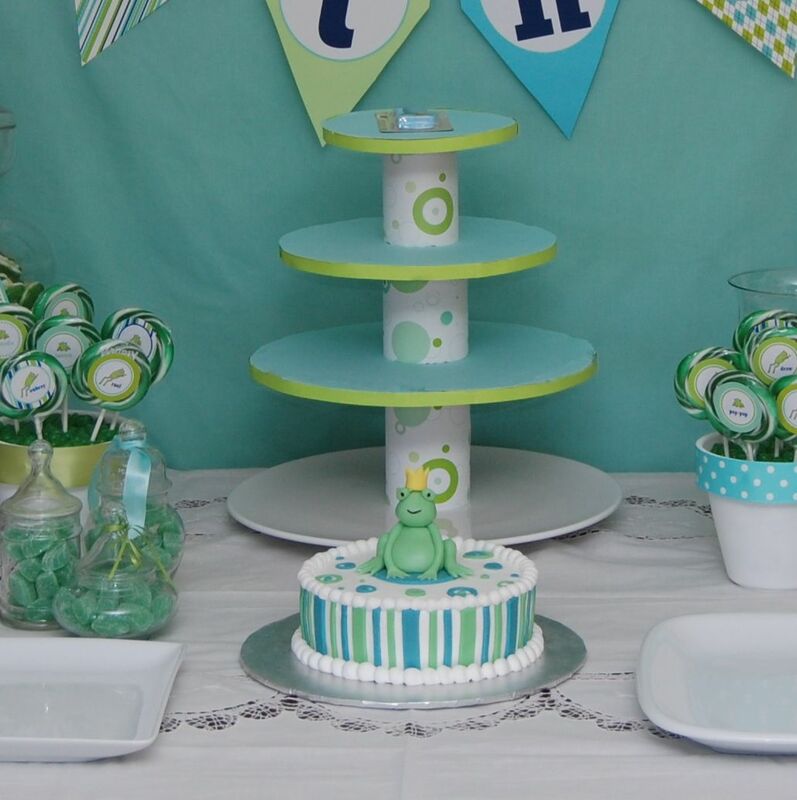 Frog Prince Cupcake Tower – it was DIY! Cupcake towers add that perfect bit of dazzle to a table. I opted for 3 tiers on mine; the bottom is a giant platter I used just so the cupcakes didn’t have to sit on the table. 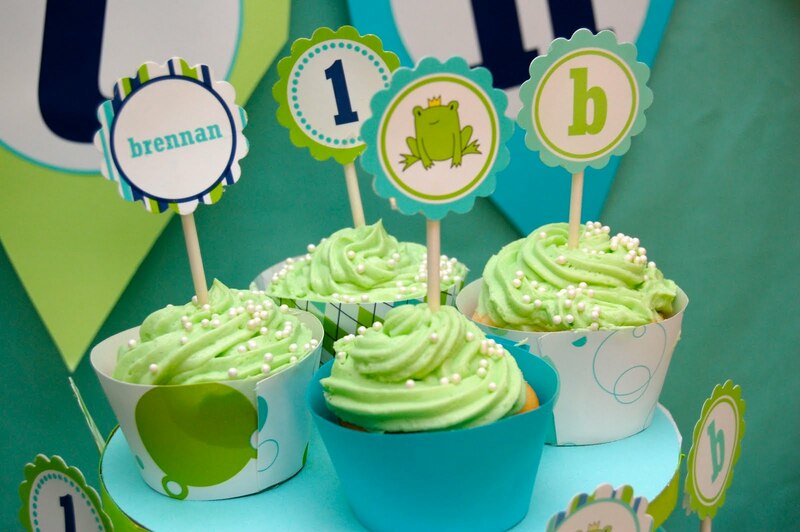 The cupcake wrappers and toppers added even more personality and personalization to the display. These cupcakes were made at home, and I used the best buttercream frosting ever from Billy’s – check it out here. The frosting was stiff enough to stand up on its own without having to make a meringue. I sprinkled little pearl candies on top for a finishing touch. The structure itself was a stroke of brilliance. While I’d like to take credit for this bit of genius, I can’t. And I can’t believe I can’t find the blog post I found it in! At any rate, all this is is a few cake circles I covered in paper to match the rest of the party, and a few soup cans wrapped in paper all stacked up. Just a tip if you’re going to this — make sure your soup cans are full and unopened. The weight is what keeps it together! You can find pre-cut cake circles in the cake decorating aisles at WalMart, Michaels, or JoAnns or any similar store. It was a good alternative to a tower that would have to be stored after I used it!